Items left behind at the temporary sleeping area on Del Norte Street. The plastic garbage cans are the totes provided by the city. It has been six months since the city dissolved the long-standing homeless camp in the Palco Marsh. The fall’s first storm has visited, bringing with it ripping winds and record rain. At least 30 people spent the storm newly housed, thanks to the efforts of Betty Chinn, the city of Eureka and the Humboldt County Department of Health and Human Services. But many more weathered the storm outdoors, on benches in Eureka’s Old Town, hidden in the greenbelts or at a city-owned parking lot at the foot of Del Norte Street. The parking lot is one of three spaces the city has been using as a rotating designated sleeping area, where people can set up their tents between 7 p.m. and 7 a.m. Due to the inclement weather, on some days, the tents have been allowed to remain standing. The recent decision to move the Blue Angel Village – a shipping container shelter project for the homeless run by the Betty Kwan Chinn Foundation – to the city’s parking lot at Washington and Koster streets spurred concerns from local business owners that there would be an even greater impact on their customers and employees. 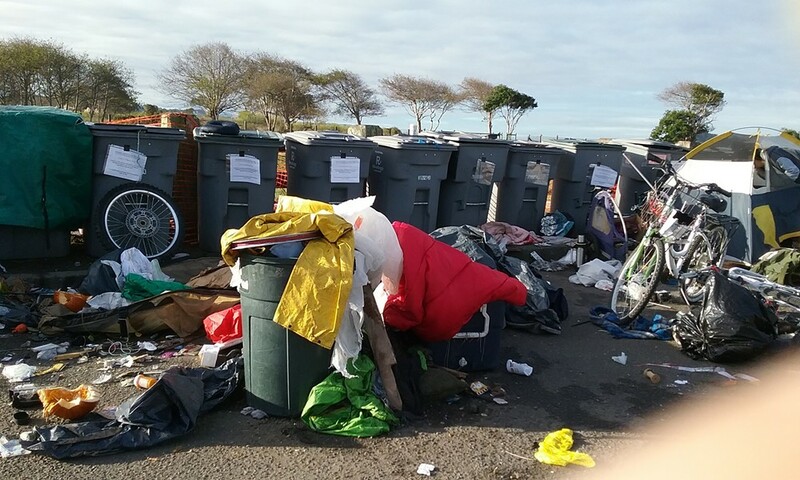 Problems with theft, litter and troubling encounters have been pinned on the sleeping areas, which were implemented by the city after the Palco Marsh eviction, partially as a means to defend allegations contained in a lawsuit brought by local attorney Peter Martin, and partially to address widespread concern that those living rough in Eureka would move into residential areas once shifted from the marsh. Currently, the location of the temporary sleeping area rotates every two weeks. With the move of the Blue Angel Village to the parking lot on Koster, only two sites remain for use as temporary sleeping areas – the parking lot at the foot of Del Norte and the parking lot of the Wharfinger building. Another site, at the foot of T Street near the Samoa Bridge, was proposed at the Oct. 18 city council meeting, but the council voted unanimously to let the motion die. Residents and business owners of the northern “Bridge Distict” spoke extensively against the idea during public comment. Although four councilmembers reached the same decision (with councilmember Natalie Arroyo absent), their commentary on the issue revealed a wide spectrum of opinion. 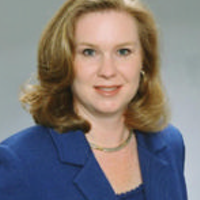 Although the declaration of the shelter crisis received heavy criticism when it was first proposed, including a very public squabble between Atkins and city staff over its omission from the council agenda and its language as originally written by City Attorney Cyndy Day-Wilson, its passing ultimately proved to be provident for the city. Without the declaration, which eases some housing and public safety regulations, neither the Blue Angel Village nor the temporary sleeping sites would have been possible, the existence of which have allowed the city to honor the ruling of a federal judge that the 11 plaintiffs named in Martin’s case be must provided with shelter if they were to be removed from the marsh. Councilmember Melinda Ciarabellini, who along with Atkins will leave the council in 2017, cautioned future council members to look closely at the money being committed to the issue. The city paid $80,000 for a report from Focus Strategies, an outside consulting firm, in 2014. Focus Strategies recommended a Housing First strategy, saying that money put in other stop-gap solutions, including a sanctioned camp, would detract from the ultimate goal of getting homeless people into permanent housing. Councilmember Marian Brady said she believed that the Koster Street neighborhood would acclimate to the Blue Angel Village, and echoed the rhetoric expressed by many business owners about the temporary camp dwellers, that they had been offered options and refused them. The Blue Angel Village, a collection of shipping containers converted to house up to 40 people, is currently not accepting new clients as it prepares to move. On Thursday, two days after the council meeting, those camping at the foot of Del Norte were also preparing to move, down the road to the Wharfinger Building. Around 30 people, roused by the Eureka Police Department at 6 a.m., were taking down tents and loading belongings onto carts at 8:30 a.m. as EPD officers, Parks and Recreation staff and a crew from the Sheriff’s Work Alternative Program stood by. Jessup added that until there is “adequate affordable permanent housing for all,” the group is still encouraging Eureka to consider an organized Tiny House Village as part of its Housing First options. Meanwhile, everyone involved in the process of the temporary rotating sleeping areas seems to agree, for varying reasons, that they are an imperfect solution. Wayne Rabang, EPD's designated homeless officer, expressed frustration with the pace of the move on Thursday morning, adding that those assembled at the camp had sufficient notice. He said the garbage left at the site was the most he had seen. As he spoke, a SWAP crew was standing by, as was the company that cleaned the Porta Potties. They were blocked by several tents and piles of belongings. An impatient Porta Potty employee finally threw a rope around one of the plastic bathrooms and, tying the rope to a harness around his torso, dragged it closer to his truck so he could clean it out. The money spent on cleaning the sites, on officer time and on porta potties and dumpsters has already exceeded that which the city spent on the Focus Strategies report, with $60,000 spent on hard costs including improvements and the facilities, and substantial personnel costs accruing daily from the work put in by EPD, Public Works and the Parks and Recreation departments. Both Rabang and Capt. Steve Watson indicated that the sleeping areas had been a resource-intensive endeavor for EPD. In an email, Watson wrote that his department has been auto-dispatching daily patrol checks to the city lots, at roughly every two to three hours. Watson added that dozens of totes provided by the city for the storage of personal property also have to be moved when the camp rotates and that, on moving days, the officers are often there until 9 a.m.
Rabang and his fellow officers were there long past 9 on Thursday, and Rabang said that the number of people camping overnight seems to be increasing, along with fights and tensions. Among those moving was Scott Dean, recently of Redding, who relocated to Humboldt when he heard there was work to be had at Pacific Seafood. 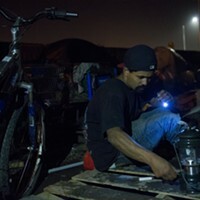 He arrived “with nothing,” he said, and the $255 a week he earns gutting fish isn’t a whole lot, but he was able to buy a tent for $20 and keep himself and his fiancé, who is disabled, out of the rain. They would stay at the Eureka Rescue Mission, he said, but when they checked there wasn’t room for her in the women’s section. “I can’t have her sleeping here alone,” he said, adding that he has begun looking for housing but he finds the rental prices cost-prohibitive. There is no indication, either from the city council or city staff, that AHHA’s call to action will be heeded. There is also no end date in sight for the temporary sleeping areas. “We continue to see success in getting people housed, and are now starting to run into more of an issue of finding housing,” Sparks wrote. According to Sparks, who said he had spoken to DHHS, the 3 percent vacancy rate estimated by Focus Strategies had tightened considerably. Even people with Section 8 vouchers were having trouble finding places to live. Sparks said he did not know why the housing stock had decreased so significantly. Sparks added that the Greater Eureka Chamber of Commerce would be meeting with landlords Nov. 1 to try and locate more housing. At a little after 9 a.m., Dean and his fiancé joined the procession of people leaving the Del Norte parking lot to make their way toward the Wharfinger building, pushing bicycles and baby carriages loaded with their belongings. They would wait on the sidewalk or in sheltered places until the evening, when the temporary sleeping area technically opened up. Left behind were pallets and sandbags, which were donated to help the campers shelter from the storm. AHHA members said they would help move them; officers on the scene said the pallets fell under the city’s Open Space Property Management ordinance, which forbids building materials on public land. “We have looked up and down,” she said. Editor's Note: This post was updated to more accurately reflect Bergel's comments. The original post quoted her incorrectly.